JTC Valve Sales provides the most popular sizes and types of aluminum cylinders that fit various industrial requirements. These are lightweight in design that facilitate easy transportation and are constructed for durability. 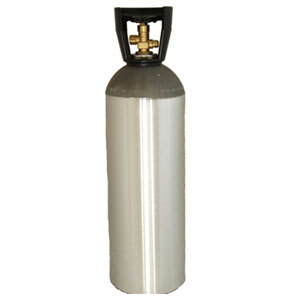 JTC Valve Sales stocks a wide variety of high and low pressure aluminum gas cylinders. We ensure that all the cylinders we stock at JTC Valve Sales comply with the latest international valve design and performance standards. 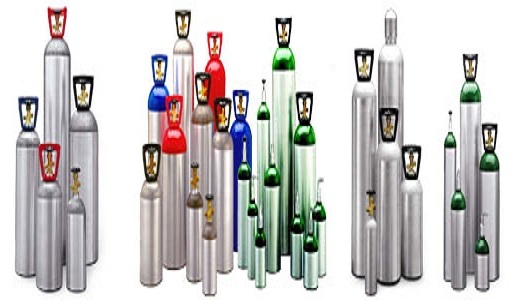 These aluminum cylinders are designed for a wide variety of oxygen applications and are optimum for use when the cylinders need to be transported frequently. 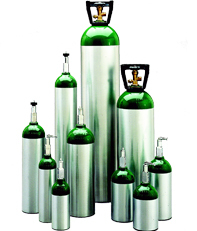 These cylinders are designed for a wide variety of oxygen applications. 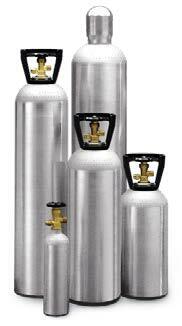 They can be comfortably put to use in applications that include aerospace, food and beverage grade CO2, SCUBA, medical oxygen, fire & rescue, and calibration gases. Our cylinders are corrosion resistant and perform efficiently even at low temperatures.